Tennis elbow (aka Lateral Epicondylitis) is a condition which causes pain over the outside (lateral surface) of the elbow. It usually effects adults, and is caused by a degeneration of a tendon around the elbow (the Extenso Carpi Radialis Brevis tendon or ECRB). It is not an inflammatory condition, and is moreso related to the fact that tendons have a poor blood supply- as a result tears in tendons have a much poorer ability to heal compared with other tissues e.g. muscles. Tennis elbow can occur in anyone but is more common in people who perform repetitive wrist or elbow activities, particularly, as the name suggests, in tennis players because of the backhand stroke. Modification or avoiding the activities which make the pain worse. There are a wide variety of other treatments described in the medical literature, all with varying results including cortisone injections, ultrasound, nitric oxide patches, acupuncture and lithotripsy. 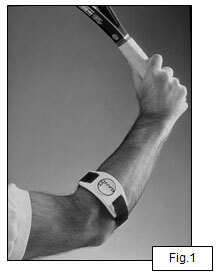 As mentioned previously, most patients with tennis elbow will get better with time. Those patients who have not improved after a year of symptoms may be suitable for surgical treatment. Surgery involves cutting out the diseased / degenerate tendon, stimulating the normal tissue to heal and repairing the remaining tendon. In the appropriate patient group, surgery has a success rate of 95%.